We stand together with New Jersey constituents, a united front to help lift up people in recovery and their families. We are here to make sure that any New Jersey families struggling with addiction have access to support within their own communities. The New Jersey Coalition for Addiction Recovery Support (NJ CARS) is a coalition of compassionate caregivers and providers who offer services to individuals with substance abuse disorders and their families. How is NJ CARS funded? CARS is supported through funding awarded to Prevention Links by the Substance Abuse and Mental Health Services Administration (SAMHSA) through the Comprehensive Addiction and Recovery Act (CARA), which was signed into law by President Obama in 2016. 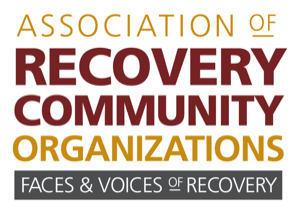 Building Communities of Recovery (BCOR) is a three-year initiative designed to mobilize resources within and outside of the recovery community to increase the prevalence and quality of long-term recovery support from substance use disorders. At the conclusion of the three year grant cycle, CARS’ sustainability will be dependent upon membership fees (membership fees are currently covered by the grant). How is CARS different than other organizations that support recovery in the state? NJ CARS is uniquely focused on making sure that families have access to quality, long-term, community based recovery support services regardless of where they live in the state. Additionally, we are committed to making sure that the individuals and families who are impacted by addiction and have valuable lived experience to share are the ones driving the expansion of recovery support services here in New Jersey. We work collaboratively with various organizations and groups that are also working to advance recovery support and addiction-related issues in the state. Does CARS include co-occurring disorders? Yes, CARS is committed to ensuring all individuals with SUDs in New Jersey have access to long-term, community based recovery support services, including individuals with co-occurring physical, developmental, mental health and other conditions. CARS is governed by an Advisory Committee of 16 individuals, at least 50% of whom are individuals in personal or family addiction recovery. Members of the advisory committee are not selected as representatives of any provider agency they may be involved with. Members are chosen for their individual experience, knowledge, and ability to advance and inform the coalition’s mission, goals, and objectives. NJ-CARS is about bringing NJ together to provide better options for those living with addiction. View our map of addiction resources in New Jersey. Become a member and get listed. View our calendar of events related to addiction. Have your event listed. Become a member and have access to our peer-to-peer job posting exchange. Addiction Recovery in New Jersey. Let’s get straight to the point and find the help you need. No more navigating the bureaucracy of getting referrals and difficult-to-find contacts. Take a look at our map. Find what you need closest to you. Find resources in your neighborhood. Help find resources for a struggling family member or friend.